Take a virtual ride to the North Pole at the Chinook Winds Play Palace this December 16thand 17th, and again on December 23rd. The kids will love the magical journey, followed by a special gift from Santa, and everyone will enjoy the hot coca and cookies. The journey goes from 5:45pm to 8pm on Friday and 12:45pm to 3pm on Saturday. Tickets are $15.95, and families are encouraged to call ahead for reservations. Enjoy the comedy stylings of Tyler Boeh, Seamus O’Brien and Brad Upton at the Chinook Winds Casino’s December edition of “Comedy on the Coast” this Friday and Saturday, the 16th and 17th of December. Doors open at 7pm and shows start at 8pm. Tickets are only $15 and available online or over the phone from the Chinook Winds Casino. Book your place now to enjoy a hands-on holiday entertaining course from 11am to 2pm on December 17that Lincoln City’s Culinary Center. Attendees will learn how to make a menu of pimento cheese, blue cheese and pear and squares with caramelized onion, crab puffs, Oysters Rockefeller, prosciutto-wrapped asparagus, smoked sausage palmiers, pomegranate champagne cocktails, and chocolate truffles. With meal and wine, the day costs $75. Kids and young-at-heart adults won’t want to miss the “Sea of Lights” at the Oregon Coast Aquarium in nearby Newport, Oregon this upcoming weekend. Stop by the aquarium from 5pm to 8pm to see the beautiful seasonal decorations that include “Scuba Santa,” a massive Christmas tree and over one million sparkling lights on display. Tickets are $10, or included with admission for the day. Watch Santa Claus arrive by way of firetruck to the Dorchester House on NW Highway 101 on Tuesday, December 20th at 6pm. The official Dorchester House Holiday Ceremony is a perfect family-friendly event for the holidays, with chances for the little ones to join Santa on his sleigh and for everyone to enjoy some delicious hot cocoa and cookies indoors. 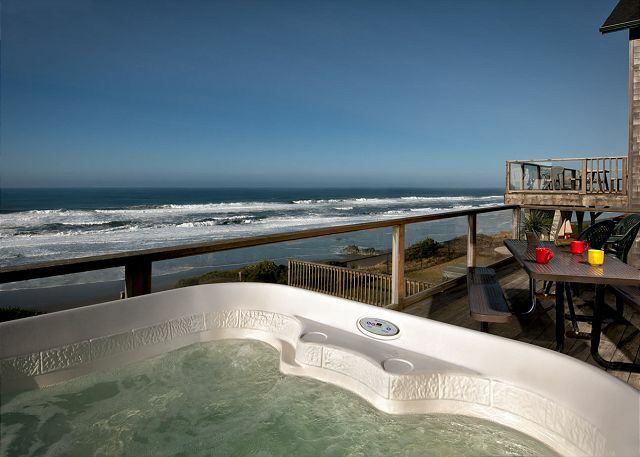 With a range of idyllic beach rentals Lincoln City, Oregon is always worth a visit. Whether you’re planning a weekend getaway for grownups or trying to create a magical experience for the family, there’s plenty to do this December on the Central Oregon Coast! Lincoln City is home to some of the most popular Oregon beach house rentals along the state’s central coast area. With some of the best beach vacation rentals Oregon has to offer, ranging from cozy condos to large homes that sleep up to 16, it’s always open for visitors. 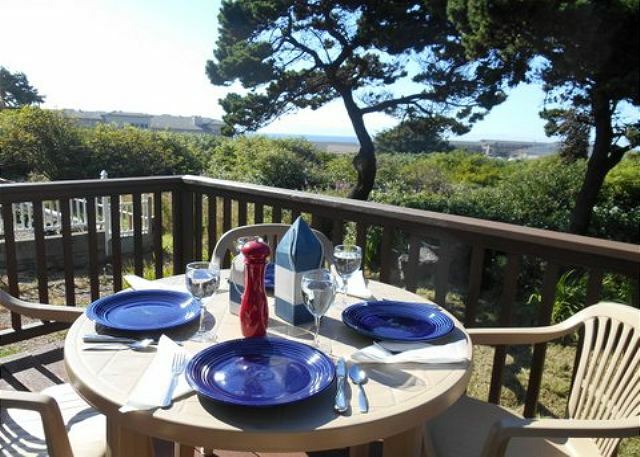 Most people think of summer holidays when they think of beach house rentals, though. Does that mean Lincoln City is inhospitable for holidaymakers during the winter months? Of course not! Here are five excellent reasons to consider traveling to Lincoln City, Oregon for a winter getaway. If you’re looking for first-class arts and culture, you’ll always find something to tickle your fancy at the Lincoln City Cultural Center. The Pacific Trombone Quartet, which features some of the Northwest United States’ most celebrated classical musicians, is especially popular during the winter season when they play whether it rains or shines. Enjoy fine instrumental music from masters ranging from Bach to Ellington, and cap off the night with dinner and drinks out on the town afterwards. If you’re planning a winter weekend stay in one of the fine beach vacation rentals Lincoln City, Oregon offers, you definitely won’t want to miss out on the Bijou Theatre’s Saturday Morning Cinema. This classic theatre on Highway 101 plays a classic film for about $2 per person every Saturday morning. It’s always a good time of year to visit the Chinook Winds Casino in Lincoln City, but when the weather outside is frightful it’s a great way to make the most of rainy days. Chinook Winds is much more than a casino – it also offers a range of buffet dining, seasonal events and top-notch entertainment with local, national and international acts regularly stopping by. If you’re around Lincoln City and Depoe Bay on February 5th or the following week, you will find yourself in the midst of Antique Week. The event features deals and promotions at antique and specialty shops across the city and an exceptional glass floats drop on the beach for those who prefer to find a unique piece of art in the Great Outdoors. The Christmas Cottage on SW Highway 101 is open from 10 am to 5:30 pm every day except Thanksgiving and Christmas. Whether you visit in December or in the New Year, you’ll find 25,000 ornaments from around the world to peruse. The shop offers Christmas cards, Santa figurines, international ornamentation including a large collection of European glass ornaments and German nutcrackers, an exclusive collection of lighthouse decorations and annual gold ornaments handcrafted by local artisans, and a variety of stationary and cards for everyday occasions. You won’t find another place like it! Whatever you do, don’t rule out Lincoln City and the rest of the Central Oregon Coast this winter. It’s a unique place with much to offer visitors during this frosty time of year. 3rd Night Stay Free w/ Weekend Stay thru 12/24! 3rd Night Stay Free w/ Weekend Stay thru 12/24 at many of our oceanfront homes and condos. 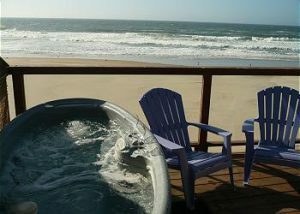 Contact www.a1beachrentals.com for info!